1.) Start off by washing, drying and cutting all of your vegetables. 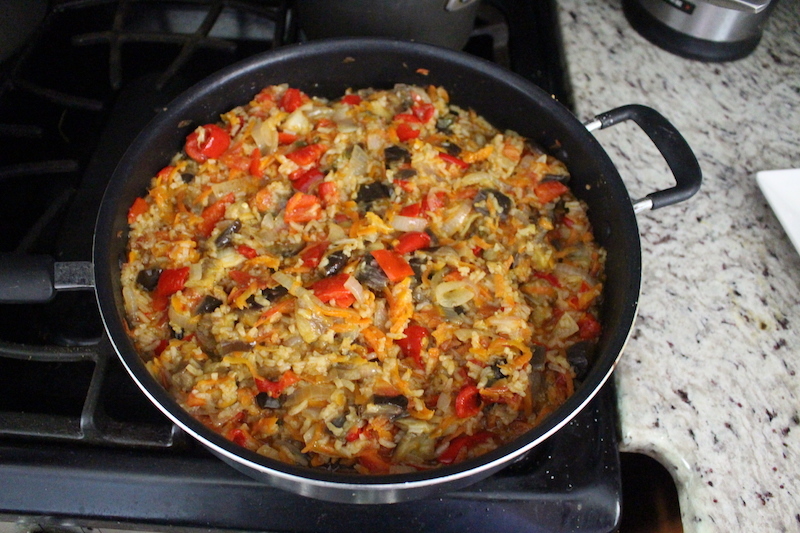 In a skillet add your vegetables, rice, sugar, salt, olive-oil, Crushed garlic, and vinegar. 2.) Mix together well, fry for 15 minutes on a high heat (Until the juices come out). Put your stove on a low heat and continue to fry for 30 minutes while mixing often. Place on a serving dish and enjoy. 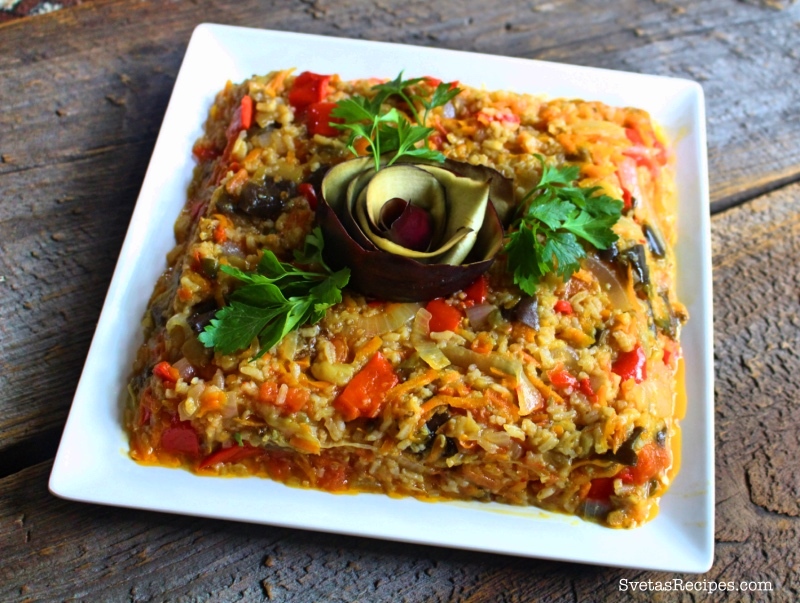 This recipe tastes perfect, it is an original from Ukraine that my family used to make almost every week. Start off by washing, drying and cutting all of your vegetables. 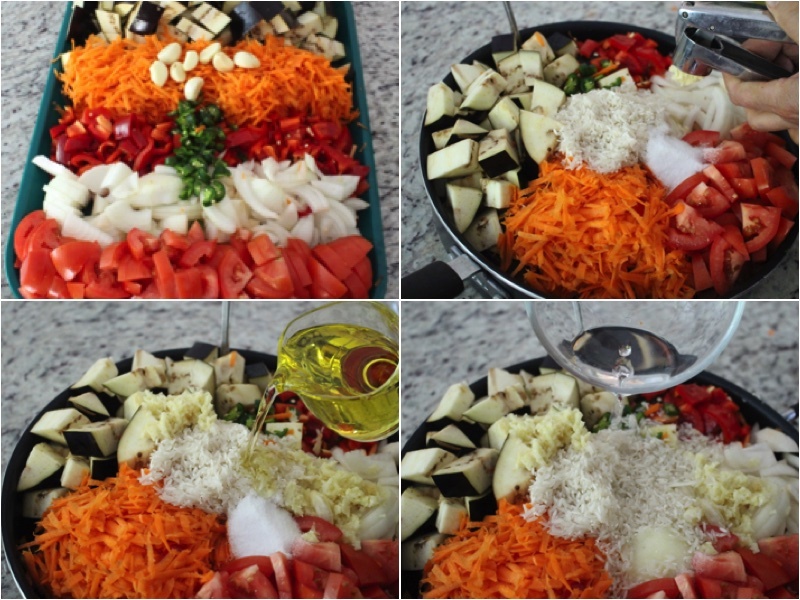 In a skillet add your vegetables, rice, sugar, salt, olive-oil, Crushed garlic, and vinegar. Mix together well, fry for 15 minutes on a high heat (Until the juices come out). Put your stove on a low heat and continue to fry for 30 minutes while mixing often. Place on a serving dish and enjoy. Do you reheat it the next day or eat it cold? 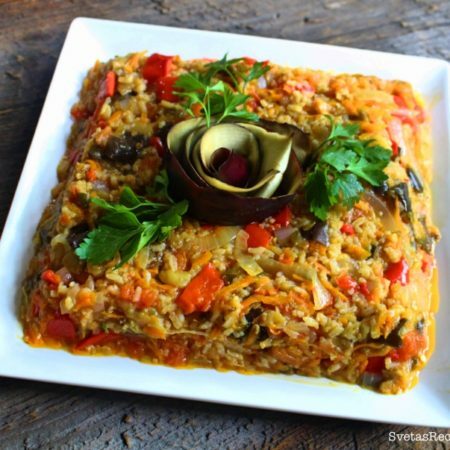 You can eat it cold if you like it like that but I would recommend reheating it. 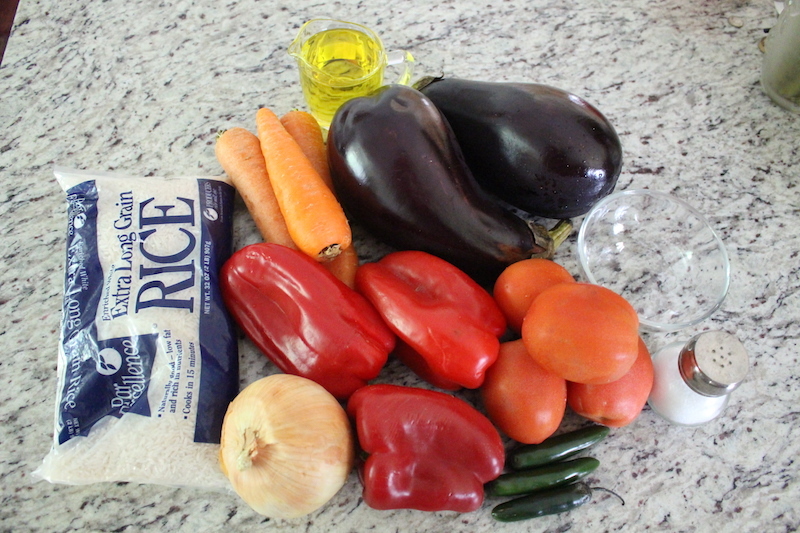 The directions are not clear- did you use cooked or uncooked rice when you added everything to skillet for sautéing? Do you add any water or broth to the skillet? I don’t understand how the rice cooks. no i do not.water is not necessary. just oil.